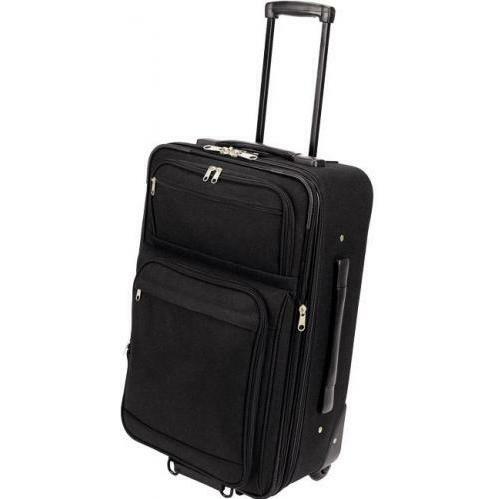 Toppers 6827 Extended Stay Travel Bag on Wheels 1800-denier polyester Front accessory pocket Expandable up to 3” Inline skate wheels Reinforced frame Retractable pull handle Front stabilizer Lock and I.D. sleeve Garment bag Detachable front panel for easy decorating Measures 18”W x 27”H x 9.5”D Great over night, extended stay travel bag. You can fit the kitchen sink in this baby. Tough as nails and durable, what else could you ask for? Need a company logo added to this bag? Email us your design for a quote today. 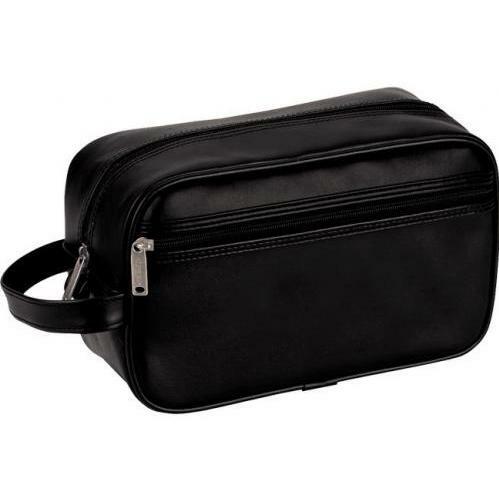 This Vanity Travel Kit keeps toiletries and other small items in one place. Constructed of Simsbury simulated leather. Bag dimensions: 10 inch W x 6 inch H x 3. 75 inch D.